In this tutorial you will learn how to follow an object with the mouse in Actionscript 3.0. This means that when you move the mouse the object will follow. I have created two different variations in this tutorial for the ‘follow object’. The first variation follows the mouse’s x and y position which will means the object moves when the mouse moves. The second variation follows the mouse’s position with a slight delay, so when you move the mouse the object will follow with a small pause. Select Oval tool (O) and create a simply circle shape on the stage like below. You can alternatively create a different shape or import an image if you wish. Convert your circle shape into a symbol by selecting F8. Give your symbol appropriate name, check movie clip, choose the centre registration point and click ok. Select your movie clip and give it the instance name “ball_mc”. 1. This adds an event listener to the stage with the mouse move event and a followBall parameter. 2. This is the followBall function which set the ball’s x and y position to the mouse’s x and y position. This is an alternative step to the one above. Be sure to remove all the code from the above step before attempting this step. 1. This adds an event listener to the stage with the enter frame event and the followBall parameter. The enter frame event repeatedly executes the followBall function at runtime. 2. This creates two new variables called ‘dx’ and ‘dy’ which subtracts the ball’s x and y position from the mouse’s x and y position. This allows us to work out the distance of the ball from the mouse. Thank you for keeping that kind of tutorials for viewing everybody it helps me to learn new thing which is very imp to me! Thanks for this tutorial! It's just what I was looking for! Do you have a tutorial where you can constrain the movement within a specific area? Takes a look at the limit movement on the stage tutorial. You will need to convert it to AS3. The problem is I'm not familiar with actionscript 1 or 2 and don't know how to convert it. I assume you have some knowlegdge of Actionscript 3. It is not difficult to learn, the code is very basic. 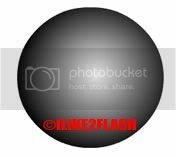 hi, I'm is beginner at flash, and I'm search a tutorial "how to make an object following the cursor" and this is nice, but I'm just have flash 8 and AS2.Can you show this tutorial but using AS2? Here is the code for AS2. sorry late reply! I'm sick now! What do you mean by "just one place or certain place". its very useful tutorials but i have a question. How to hide ball when mouse is outside the stage? There is a Mouse.hide() method you can use. Do we need to remove the onEnterFrame event handler at the bottom of the script? How does it affect the swf if we do not remove it and navigate to other frames? Thank you very much. Works absolutely perfectly. Finaly found a simpel and working code with a good example. This is the first example that does what I need. I Searched for this for sometime. I was having problems with the code and this was really simple to do! Thanks to your tips I managed to finish my Final Major Project! how to limit the movement of the clip so that it doesnt leave the frame?